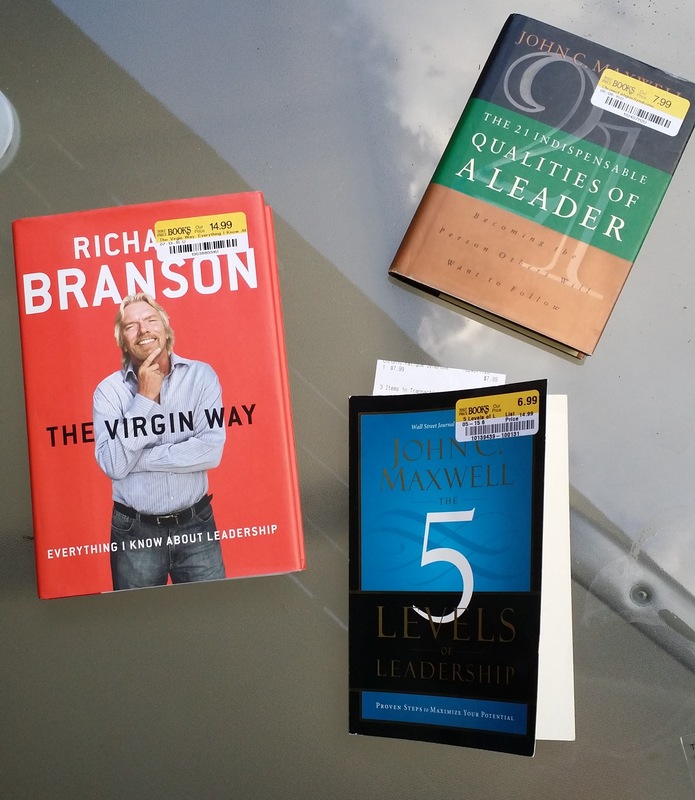 Here are three books I bought last year to add value to me. Two are leadership books written by a leadership luminary and the third was written by a billionaire serial entrepreneur (if you’re going to learn from people, learn from the best — someone ten times more than what you want to be). I view reading and purchasing books are continued education. I want to learn something that I can put to use. That’s how I value literature. add value to your life. In fact, what do you do that does not add value to your life? What value do you add to others or work? The way to become irreplaceable is to add value. I started working for a new company a few months ago. Everything we do we ask a simple question: Does this add value? If it does not add value, we’ll stop doing it or find a way to minimize the resource it takes. New and expanding companies do not have the resources, people, or money to spend to waste. There certainly is trial-and-effort, but the “add value test” is a great way to allocate time, people, and money. When you’re with friends, who are you? The person who knows everyone? The person who finds everything out for a night out? Are you the fun jokester? Or are you just there? Yes, at least subconscious people associate with people who add value to them, even in friend circles. If you don’t you may not receive as many texts as you’d like. At home, when you’re rummaging around from time waster-to-time waster. Everything you do does add value to your life. But it may be unproductive (from someone who scrutinizes everything he does…). Watching hours of reruns on Netflix? Watching cat videos on Facebook? They add value, but in the wrong way. Challenge what you do everyday. Create habits that make you a more productive person, spouse, or parent. Make sure everything you want to do does positively add value to your life. You’ll be amazed at how much you can accomplish when you have that as a mindset. Do you want to know why some people and things rise to the top while others don’t? They add value. Even for entertainment, it adds value (people watch hours of TV, movies, and play video games on end even though they aren’t particularly valuable, but, it’s an escape that millions of people enjoy). I recently attending a TEDx talk and a speaker spoke about how much money we spend in what industry. Overwhelmingly we spend money in technology (excluding healthcare, which effects everyone). Many of the richest men in the world have started tech companies (Facebook, Apple, Oracle, and Google are some companies you may have heard of). With so much wealth, that ought to start triggering what it means to add value. Does it necessarily have to produce? No, but it has to be something people want. Take note in what people want. If you’re an opportunist, you can strike at that. Does it have to make sense to you? No, of course not. But that’s not what matters. It’s an interesting study in human psychology what becomes “sticky” and what doesn’t. Adding value takes its form in many ways. Not all have to make sense. Some are work and business related. Some are friend related (maybe you’re the bank who buys stuff for everyone; some people pay for friends, right?) Some are just for entertainment, via books, movies, and network TV. To become irreplaceable, think about how you can add value in your circles. Next story 2016 Glass City Marathon Race Report: Boston Marathon Qualified!